It has been a wonderfully long road for me and my husband to get to this point, in which we are finally launching our official website! We plan to offer so many great things for people who are in need of professional guidance with their nutrition, exercise plan, and competition preparation. A lot of people have wondered, and many have asked why we have not launched something like this much sooner; since we have been training successful competitors and clients for several years now. It has taken us up to now to finally make this happen because we believe that if you want to do something well, you have to do it right the very first time. This past year has been a rollercoaster of accomplishment, struggle, learning about business success, and learning about ourselves individually and as a team. I will first go over my experience in my rookie season as a professional figure competitor, and explain some of the struggles that Matt and I faced throughout the year with regards to my competitions and the launching of our new business. Almost one year ago, I achieved an amazing accomplishment; that was winning the Overall Figure title at the NPC USA Figure Championships; which is where I earned my IFBB Professional status. It was an amazing experience, but I was surely humbled as I made my way into the pro ranks with a very rocky start. You see, I have not exactly had the “pro debut” that dreams are made of. I have definitely struggled in my initial year as a pro. I can’t make excuses since I feel that each time that I make my way on the stage to compete, I am bringing my very best package with no exceptions to this rule. Not to mention the fact that I am not fond of when girls talk about how frustrated they are with how they placed, etc. ; as if to say that they thought they were better than all of the girls who beat them. For me, I look at my results independently from the other competitors. For example, I don’t think, “I am so mad that I took (x) place because I should have beaten all of those girls!”… I think, “Man, I believe that I was good enough that day to be a top finisher in any lineup because of the package I brought.” And if that doesn’t happen, then I am bummed that it didn’t. Make sense? 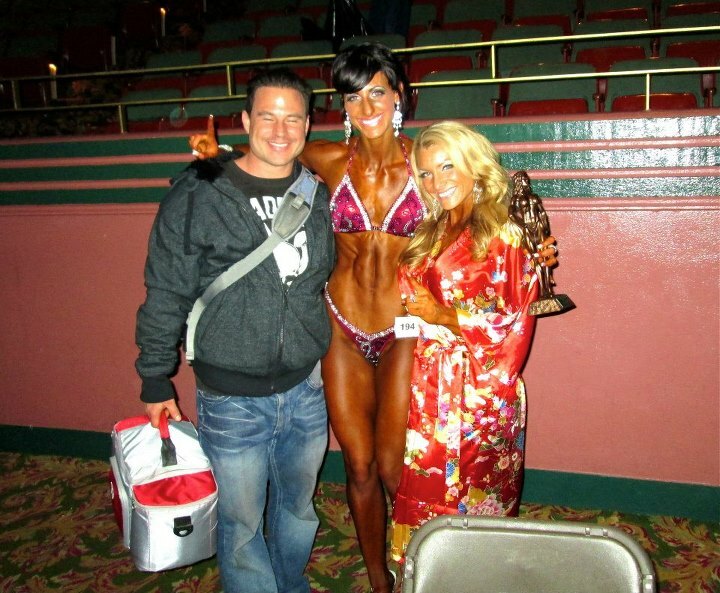 In my first pro competition, the 2012 IFBB Governor’s Cup Pro Figure Championships, I came down with a terrible flu just 2 weeks before the show. But don’t feel too sorry for me; I was behind on my training and my diet (I know, I preach to clients all the time about how bad this is. We are all human, what can I say?). Well, the problem with being behind is that you don’t have any time to lose, and that is likely why I got sick. I had to over-train and over-diet to try and get in shape on time for the show. Ironically, I still had to take two precious weeks away from my training before the show due to catching the flu. To prevent obtaining a $5,000 fine for pulling out of the show, I decided to compete. It was not the best experience for my pro debut, but I still placed 7th in the end. 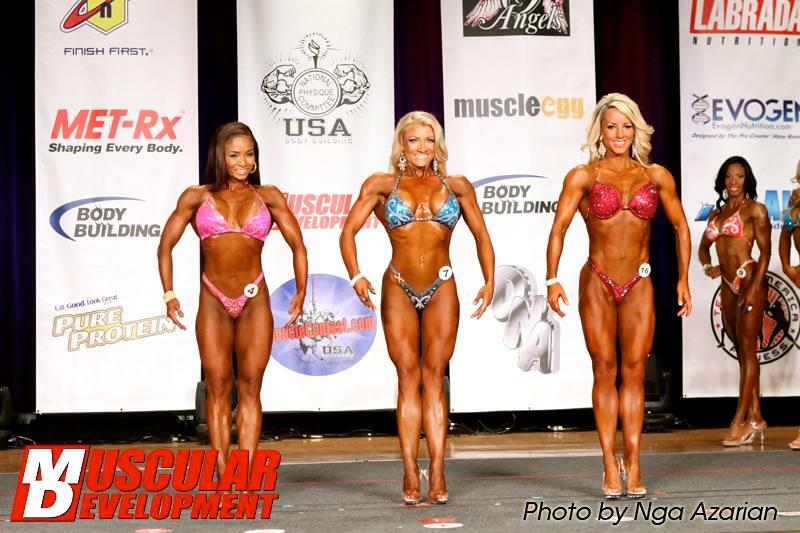 So, I had chance number 2 to make my comeback at the 2012 California State Pro Figure Championships; which was my 2nd pro show, and the last one on my resume of shows. As you may have guessed, I was more than determined to prove that I could come back looking like the winner that I knew I was. I trained hard and dieted smarter. On the day of the show, I was heads and tails above where I was when I won the esteemed title of Miss Figure USA in 2011. I felt great, and looked my best. I stood on the stage with such a sense of accomplishment. However, while I was on the stage, everything seemed like such a blur. I remember standing off to the side after performing my model turns while the callouts were being made. The first callout was made, and I wasn’t called out. “No biggie, Wendy. Maybe you’ll make the second one.”… The second callout was made… I told myself, “Okay, Wendy, no worries. They just don’t like your look. It’s alright. YOU like your look. That is ALL that matters anyway, right?”… The third, fourth, and finally fifth callouts were made. I started to think that maybe I wasn’t really standing there. Maybe it was all a dream; just my imagination that I was even on the stage. No joke, I really thought that for a moment. Then, when all of the callouts were over, the judges had their heads down tallying the scores. I assumed we would all exit the stage and it was over. I just didn’t get called out – this happens sometimes, right? I mean, it was happening to me… Then, I was called out with 2 of the girls who were in the first callout. It was like the twilight zone! I wasn't sure where that would place me, because I was pretty sure that the judging was over. I was really hoping for a top 5 placing, but I thought that was a little hopeful. No one was really paying attention as we made our quarter turns. It was mostly a gesture to let me know that is where they would have placed me if they didn’t forget about me. Well, I wish I could put that on my competition resume. I wish I could say, “I took almost last in the end, but I was supposed to be closer to the top of the list…” Don’t get me wrong, the ladies who placed deserved it; each and every one of them. Just stinks for me, that’s all. I held my head high, and felt nothing but pride for how happy I was with what I physically accomplished. My physical accomplishment was only tainted slightly by the placing which must go on my resume, but eh, say la vie. The world keeps turning, right? My main focus, anyway, has and will always be my business with my husband and the amazing clients we have the joy to work with. For example, despite my experience in my pro debut, we had several clients who did very well in the amateur division in both bikini and figure. Additionally, we had a bikini client win her class and almost win the overall in the amateur bikini division at the California State Championships. Those were successful achievements for me and my husband for sure! While training for my pro debut (likely why I was slacking on my diet and training for the show), my husband and I began working very hard to perform photo shoots, and we began the initial process of learning to create helpful products for people to utilize. We attempted to work on business deals with various producers, photographers, web developers, etc. etc…. And through these experiences, we have come to decide that we choose to work solely with each other. Neither of us has much savvy with computers, programming, or technology in general; but we must learn and make this a priority. We’re pretty smart, so we think we can put our brains to the test. You see, we are both a part of what I like to call the “hybrid generation”. We grew up learning to type on a typewriter, graced through college with the use of a computer, and danced into graduate school with some web assistance. And then, boom! As soon as grad school was over, the internet generation emerged. Great! Just what we needed; more things to learn after all of that schooling! Technology is now our priority. We plan to utilize technology to produce our amazing products with which we will help hundreds of thousands of people world-wide. We intend to help people make lifestyle transformations, and we also plan to provide tools for trainers to use with their own clients. It will be a whole shop of goodies for the new, health-minded generation! It will be a “CyberBodyShop”, and we can’t wait for you to see what we will have in store!